Halloween is a special holiday for many people. Some people choose to put their effort into making/customizing a costume versus decorating home, while some people channel their energy into home decoration and try to throw a perfect Halloween parties. 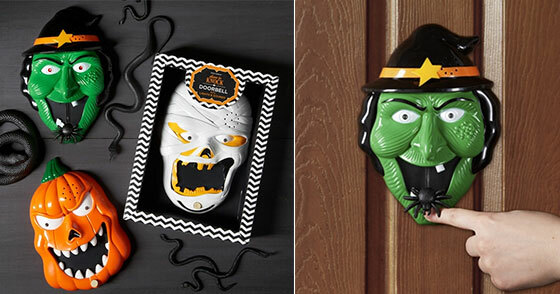 In this post, you will find 9 Spooky and Playful products which are useful in your Halloween Home Decoration. From driveway to doorbell, from chair to wall, let’s welcome our guest and give them an unforgettable experience! 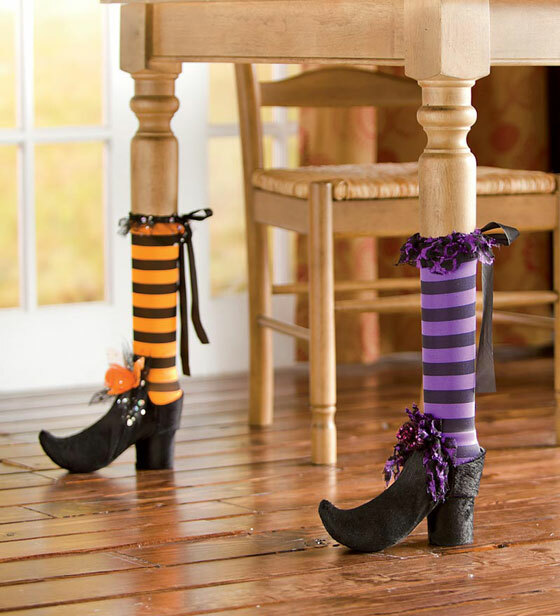 Enjoy the spooky Halloween season with these fun table witches legs. Made of Nylon they are 16 1/2’H x 2’W X 7 1/2’Depth, they fit over an average size table leg. Set of two, one orange and one purple. Doorbell specially designed for Halloween with lights and sounds effect. Three styles availabe: Mummy, Pumpkin and Witch. 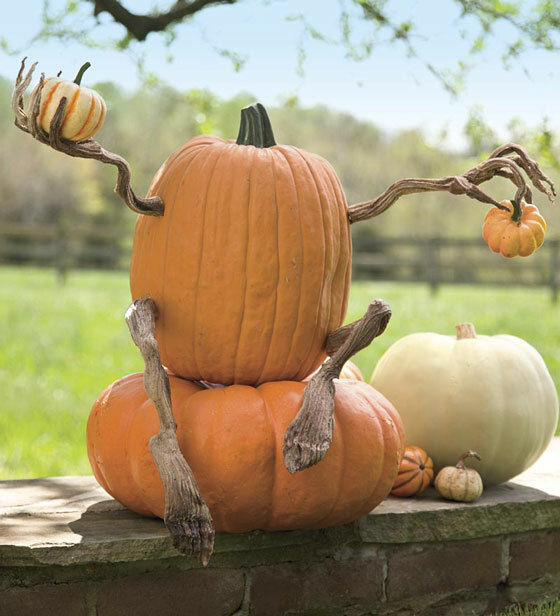 This four-piece poseable vine arms and legs set is a charming addition that can trun any pumpkin into a whimsical friend. Crafted of flexible Smooth-On® foam, each piece can be easily transformed and modeled into any position you desire. Want to create your very own pumpkin creature? Try this flexible pumpkin set. Want to give a fun and spooky looking to your chair in this holiday season? 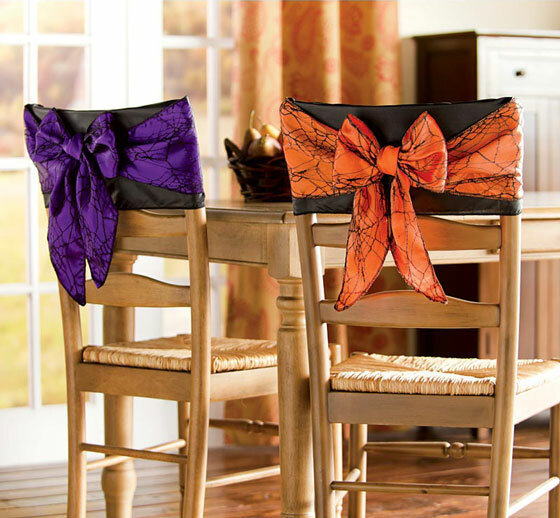 Slip the sash over a chair back and tie a pretty bow instantly. Extend a spooky welcome before your guest even enter your home. 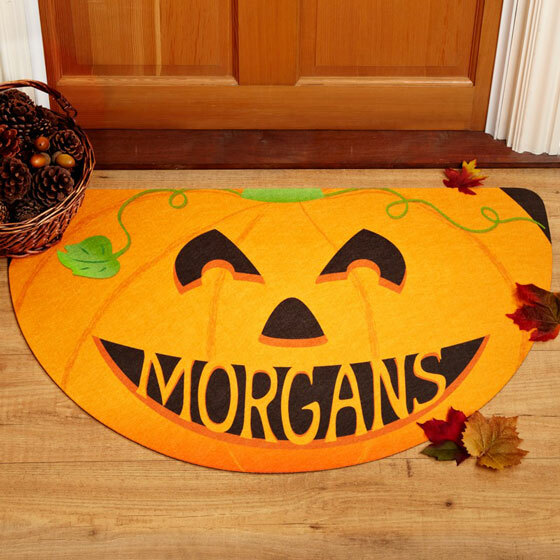 This non-slip pumpkin doormat is a perfect sign to celebrate the holiday. Moreover, you can customize up to 12 characters in the pumpkin’s mouth. Are you ready to give this sepcial welcome in front of your home? 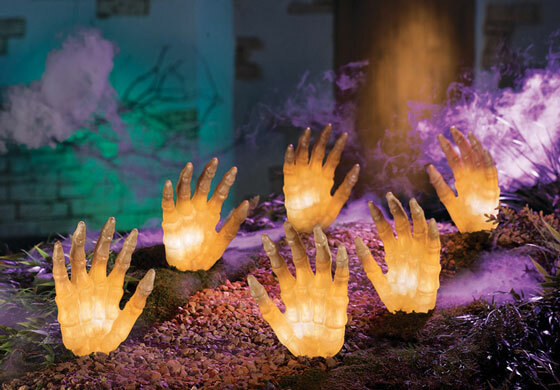 Give a scary looking to your driveway or path with these spook hands which seem to reach out from the Earth. Perfect for lighting the way for trick-or-treaters or helping assorted creatures find your party. This creepy doorstop looks like something horrific is crawling out of your door. 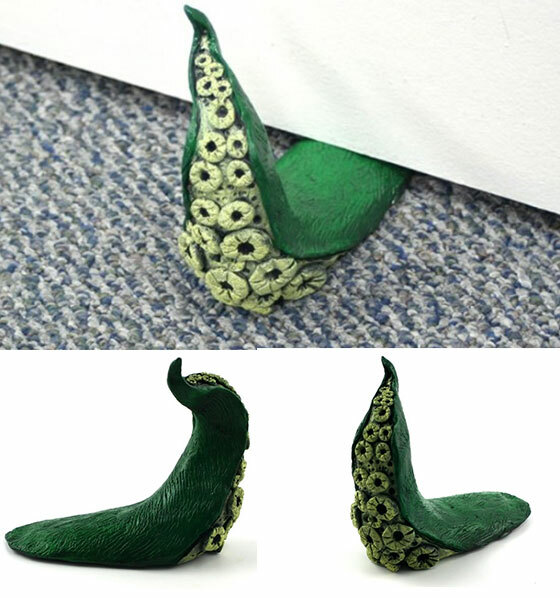 However, this highly detailed tentacles shaped doorstop is just try hold the door for you. 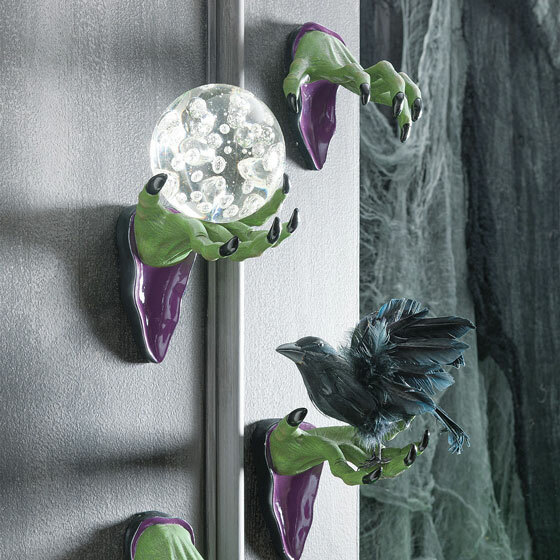 Set of two hands includes one palm-up and one palm-down pose, these spooky wall mount hands will give your wall an unsual looking. Decorating with other items such as a spooky ceramic bowl, spide or crow, your guests are sure to be howling with delight. 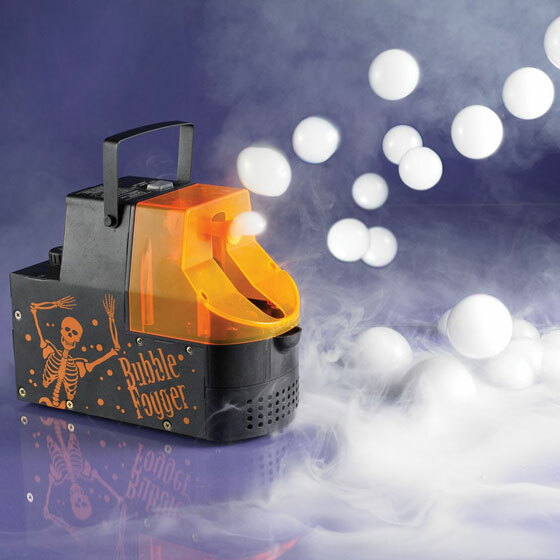 Not only kids love bubble, your guest will love this special Halloween Fog Filled Bubble as well. This machine fills the air with bubbles that release plumes of eerie fog as they pop. Drifting up to 150 bubbles ( non-staining and non-toxic) per minute, make a great addition at any proper Halloween bash or regular party.